Life as an American expat in Berlin isn't always easy. But it's always interesting. How did I get here and where am I going? I don't necessarily know but want to be a part of it. A few months ago when I decided to leave Vietnam and fly to Europe, I didn’t really know what was going to happen. I had some suspicions and some secret plans in the back of my mind, but I was trying to be flexible and open-minded with my travel plans and my future. And after a few weeks backpacking (Berlin, Prague, Vienna), I came to the conclusion that I was done with traveling. At least for a little while. So that’s how I came to live in Berlin. I met so many people in my first few weeks in Berlin—all of whom were from countries all over Europe and the world (lots of Americans, too) and were actually living in Berlin; expats. I guess I’d always thought living in Europe was nearly impossible as an American. There’s so much paperwork and necessary, hard-to-get visas. My pessimism stemmed from my failed attempts to get an international transfer in my last corporate job. But here I was in Berlin and there were lots of American expats living here. They were 18, 25, 30, 40 years old. Some more qualified and more experienced than me, some not. Some had been here for months, others for years. These people, many of them American, were making it happen. My dream to live and work in Europe, in Berlin, started to seem like an actual possibility. I’d tried so many times to get a job abroad and never had much luck (though I did manage an unpaid internship in Tel Aviv at a political nonprofit). This latest attempt was going to be a Hail Mary pass. My RTW travel budget evaporated with the plane ticket purchase from Hanoi to Berlin. Twenty thousand dollars for more than year of travel—spent. Luckily, I’d received a small windfall with my 2010 tax refund, not to mention some unexpected income from this blog. So with this extra money I could give my dream of living in Europe one last chance. I wrote the paragraphs above shortly after starting at a job in Berlin. It was a short-term contract gig (dubiously called an “internship”) for a new (dubiously called a “startup”) tech company. When I was first offered the position, I was hesitant but optimistic. Promises of international transfers, upward mobility…a chance to be a part of something. Turned out much of that was false. As my inspiration waned, I decided to take more control over my life and rethink my goals. Which brings us to today. I’ve decided that a job with no future isn’t for me. Until I get the chance at my dream job, I don’t want to waste my time. So I’m taking some initiative and doing the things I want to do. I may fail but I’m going to try. I’m a graphic designer at heart but I haven’t done any design work in months. I’m a writer but I don’t write. A dreamer but I’ve stopped dreaming. A reader without books and a listener without sympathetic ears. With time maybe I’ll find my passion—and my direction—again. 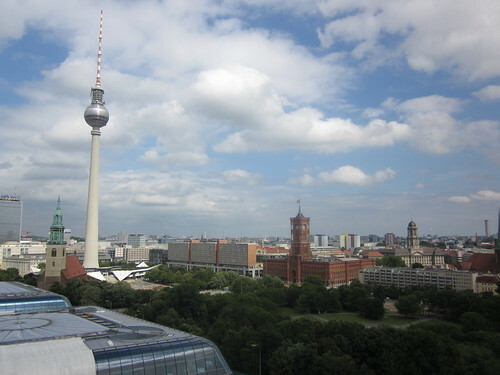 What’s an expat in Berlin? Lucky for me, but so many of the people I meet living in Berlin (American expats or otherwise) have similar dreams, goals and plans for the future. In Berlin, things are happening. 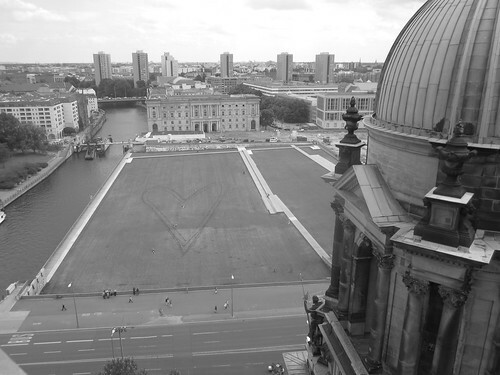 Whether it’s tech startups or the chance to pursue a creative vision, there is seemingly space for everyone in Berlin. That doesn’t mean the city is without controversy. 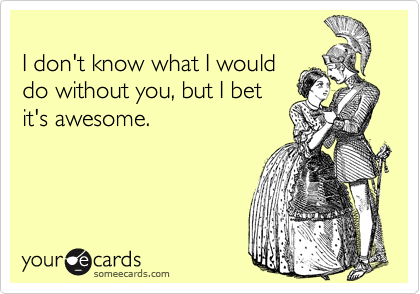 Quite the contrary actually. 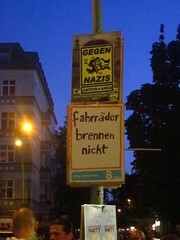 There are frequent protests and demonstrations against the gentrification of Berlin. Isolated arson attacks over the summer occurred in response to a number of political issues (tourist fatigue among them). Locals are increasingly fighting against short-term holidaymakers and the rising rents that drive up living costs. Like I said, things are happening here, and it’s not all pretty. I visited Berlin for the first time in December and loved my time there. I think it would be a very interesting place to live for a while. Nice to read your perspectives. Thanks Cathy! It’s definitely a bit of a different city living here versus traveling through. Regardless, it’s an exciting place! I am always on business travel, and never really as an expat. I’ve always wondered how it’s like to live in a foreign country on a long term, as it is just something new and exciting and I hope I will get to try it at least once. I do agree with you, sometimes we just have to make the decision, take that chance or we will never know. Thanks Christy. Living in a foreign country can certainly be challenging at times. I’m probably still in the “honeymoon” phase but I love it! Well said, Nicole. I don’t know how to put Berlin into words, actually. So great to meet both of you, too! I’m still confused about your visa situation, Adam… especially now that you’re not employed by a German company! Is your Schengen visa overdue? Are you worried about issues when you come back to Germany after visiting the States? Ugh, I’m confused too! It’s all rather complicated. Actually, what I have is a temporary visa which allows me to be here (but not work) while I apply for a freelance visa. I’ve tried to apply for the Freelance visa several times, but have to do it by appointment only. My appointment isn’t until early December and in the meantime there is nothing I can do but wait. As for being worried about leaving and re-entering…I’ve tried to get some answers but because my temporary visa is a pretty rare exception that I was given, there’s not much I can figure out. So I will just have to wait and see. Thankfully I already have a scheduled appointment for my visa application and I’ve been in touch with the Foreigner’s Office several times – they know I’m here and that I’m waiting. And waiting…and waiting…and waiting! Such a nice place.Your life sounds pretty amazing , travelling many countries… HMM..
Aw, thanks. But it’s nothing special. I love it, Adam! Stay as long as you can and want to and pursue these dreams that are beginning to take shape. Cheers Heather! That’s the plan. Good for you Adam! You sound inspired :) can’t wait to see what happens next. Thanks Raquel! I think I may have finally found the inspiration I needed. Would love to chat with you for more than 5 minutes sometime soon! Wishing you the best of luck! Looking forward to reading more! Hey Adam, your contradictions seem similar to mine…writer but don’t write…n stuff :) I guess we both are on the same journey of finding our passions in life….just different roads.